Whether your reasons are based on environmental mindfulness or are strictly financially driven, choosing to convert your home to solar power is an easy smart and beneficial decision to make. However, finding a competent contractor to perform your installation will take a bit of effort on your part. With the passing of the solar Investment Tax Credit (ITC) in 2005 and its many extensions along the way, the solar industry has experienced a 60 percent growth rate in the last decade alone. This rapid expansion has led to the market being infiltrated by inexperienced and uncertified contractors. 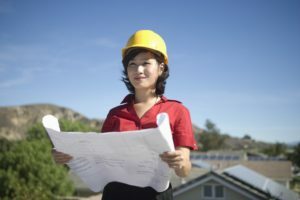 By asking these four questions from Home Improvement Leads, you are certain to find the perfect contractor to make your solar dreams come true! How many solar installations have you performed? Before you even make your first phone call, check a potential contractor’s website to find out how long they have been in business and how many installations they have performed. Once you have honed in on your potential contractors, contact them for a list of references you can speak to firsthand. What licensing and insurance do you have? Many states require that a contractor be certified specifically for solar installations. Check your local municipality’s website to see if they require such credentials. Regardless, anyone who performs work on your home needs to have been licensed by the North American Board of Certified Energy Practitioners (NABCEP), including potential subcontractors that may be used in your renovation process. They should also have insurance which would cover any potential damage that may happen to your property or injury to a worker. What warranties will be provided? Manufacturers’ warranties are relatively standard across the board with most solar panels being guaranteed for 90 percent output for 10 years and 80 percent for 25 years and 5 to 10 years for power inverters. A contractor’s workmanship is another story, though. These warranties can range anywhere from 1 to 10 years depending on the company you speak to. Don’t hesitate to ask for a longer warranty if you are not satisfied with their first offer. Also, some tax incentives require that workmanship be insured for 5 years, so know your requirements before you sign on the dotted line. What size system will work best for me? In general, one square foot solar panel should produce roughly 10 watts of power a day when under direct sunlight. By applying your average energy needs to this formula, you can estimate how many solar panels will need to be installed on your roof. Contractors will usually need to evaluate your home in person before giving you a final estimate/quote for your project. While they are there, make sure to ask if the number they present you with is firm or may fluctuate as the project goes along, too. Though it will require work on your part, taking the time to interview several contractors will ensure that you have the renovation experience you were hoping for, rather than one laden with headaches and dissatisfaction.